Without a doubt, poker is one of the casino games in which understanding the odds can bring players a sizable advantage over opponents. Just like Kenny Rogers sang in the movie The Gambler, it's all about knowing when to hold 'em, and when to fold 'em. The odds in the game of poker are similar to those of blackjack in that they are constantly shifting as the cards are dealt. Figuring out what the true odds are and whether or not they favor you at any given moment can be estimated by considering a couple of variables. First, you know that your odds of landing a particular card, such as the ten of diamonds, are 1 in 52. And that your odds of landing a card regardless of suit are 4 in 52. As cards are removed from the deck, the odds will shift accordingly. Depending on what game you are playing, there will be more or less information available to influence your appraisal of the odds at each stage. For instance, if you're playing five-card stud, you will only be able to make predictions based upon the cards you have in your hand. For games like pai gow and three card poker where the dealer's cards are usually laid out for you, more information is provided to help determine your odds of making a hand. Online poker rooms bring players together from all over the world. Added features enhance gameplay while the action and pots are true to the real deal. There are just under 2.6 million different hand combinations possible in poker. The chart above shows which hands are most likely and least likely to happen. As you can see, the highest-ranking hand (royal flush) is only expected to happen once every 649,740 hands while a low-ranking hand of a single pair should happen about once every two hands. When playing any one of the numerous variations of pot poker, where you and other players vie for the chips in the middle of the table, an important factor that helps determine the odds of making your hand is the implied odds. The implied odds refers to the risk, or chance of getting the card you need, versus amount of money in the pot plus the amount you can expect to get from fellow players. If you believe that there is enough in the pot (combined with what other players have yet to contribute) to cover the odds of you making your hand, then it is the right call to proceed with your bet. 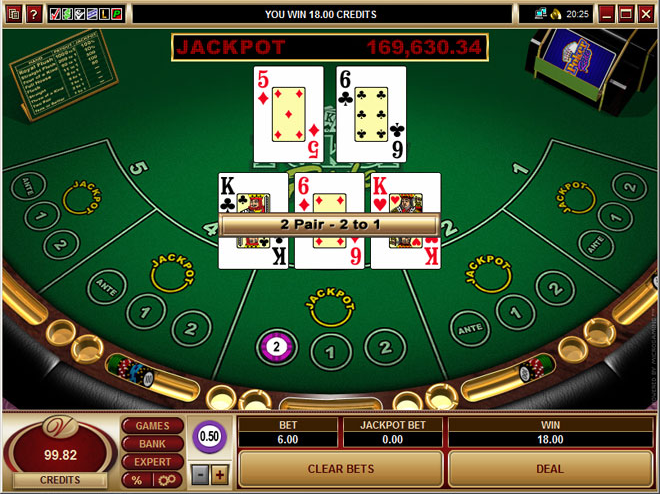 For example, if you have two pair and need a five or a jack to complete a full house, and you figure the odds of getting one of the remaining fives or jacks to be 8 to 1, then there should be at least eight times your wager sitting in the pot (or thereabouts by the time everybody is done). Play poker at a leading online poker room. Gow, and Let It Ride. Stud, 3 Card, Pai Gow, and more just for fun. credit side bet will earn you a bonus for any flush, straight, or full house, and a royal flush takes the pot. Get the most for your money with poker signup bonuses. Try you hand at Poker Ride, one of the biggest online games of progressive poker. See what it takes to win the jackpot. Test your skill at a several casino style poker games, including a free game of caribbean stud poker. 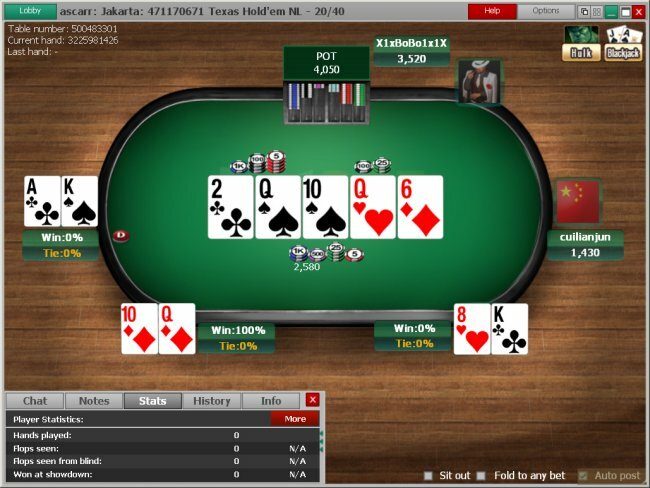 Play Omaha, Texas Hold Em and more at the internet's top poker rooms. Learn the chances of landing each winning hand and their respective payouts in caribbean stud odds. See what kind of odds a player can expect to receive in pai gow poker. Learn what kind of return rate and chances of landing each hand a player can expect playing jacks or better in video poker odds.